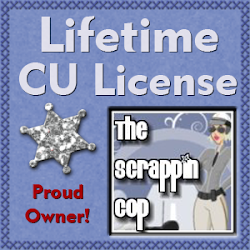 The Scrappin Cop: The final Overlay Sets, and some exciting news! The final Overlay Sets, and some exciting news! I wonder if this All Star game will ever end??? Lucky for you I am staying up to watch the end because it gave me time to finish the last of the overlays. 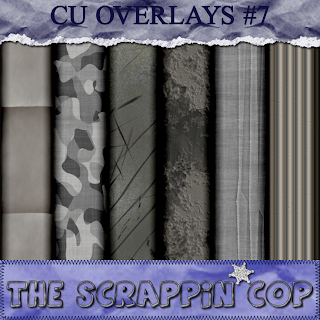 You are welcome to download CU overlay sets #6 and #7. I am glad you are enjoying the overlays, I had so much fun making them. I need to take some time and scrap my stuff and post some layouts! Anyway, first of all I want to thank a sweetie, Edna, for nominating my blog as a Brillante Web Blog! I sent her an email to thank her and I am deeply humbled by the nomination! Due to a personal childhood trauma (something to do with a postcard chainletter that went awry! - lol) and due to the fact that I cannot narrow down 7 favorite blogs- I have DOZENS! 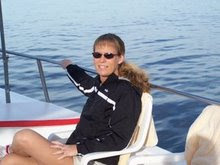 - I explained to Edna that I am going to have to "break the chain" But check out her blog and you will see why she definitely deserved her nomination! The second piece of exciting news is that my blog made the top 50 scrapbook blog list! (Check out the blinkie to the right). I am currently #42 which I can only attribute to my great readers who check in regularly to grab my freebies and leave such kind comments. Thank YOU sooo much gang! You really are the best! So, enough bragging - here are your rewards! Update 3/13/09 - link fixed, thanks to 4Shared for destroying yet another file. Am looking forward to seeing your lay outs I assume you are going to post them up here? Just wanted to drop by and catch up with what you have been up to and of course see what treasures you had up..
ok off to see if I can make something.. Thank you! Your blog post will be advertised on the DigiFree Digital Scrapbooking Freebie search engine today (look for timestamp: 16 Jul [LA 03:55am, NY 05:55am, UK 10:55am, OZ 08:55pm]). I have collected all your overlays, not like you, I need to get some pictures scrapped. Glad to see that your blog is well liked and vistied. Thanks for sharing. These are awesome, THanks so much! Thank you for the overlay sets. I cannot wait to use them. Congratulations! I hope you will rise to the top 10. Thanks for your freebie! Congrats! I love the overlays and am so glad I've stumbled onto your great blog! Thanks! Thanks for the overlays, and congrats on cracking the top 50, you deserve it!!! These are fantastic! Thank you for even MORE overlays! These are awesome, let's see if i can use them. Big hug for you're generosity! Thanks so much! 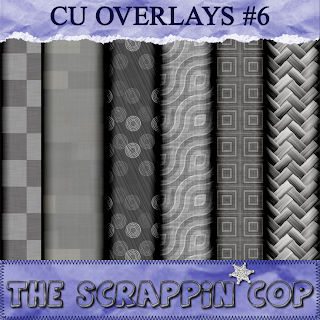 Can't wait to play with your overlays! Thanks for the cool overlays! thank you so much! I got these the other day, and I've used one already in a web design i'm working on! thanks a ton for those cute critters too! my imagination is running wild.. I'm going to have so much fun with these! thank you sooooooo much! I see more dots. Thank you!